Aviation Stakeholders Square-table have called on the Ministry of aviation to conduct a financial audit of Arik air limited. 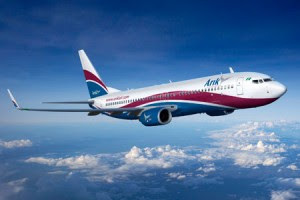 They have also called on the Federal Inland Revenue Service (FIRS) to investigate the alleged non-remittance of about 5 billion naira VAT by Arik airlines limited. These statements were made by the President of the Aviation Stakeholders Squaretable, Capt. Balarabe Usman who further called on the Central Bank of Nigeria (CBN) to probe the whereabouts of 35 billion Naira Aviation intervention fund disbursed to Arik Air by the Bank of Industry (BOI). Addressing a Press Conference in Abuja, Capt. Balarabe Usman, who was the pioneer Director of Safety and Security, FAAN, further said the audit will fast-track current efforts by the Minister of Aviation, to build confidence and develop partnerships with foreign airlines, which she pursued during her recent investment road show. He said that “As aviation veterans we have a responsibility to avail our experiences so that history will not repeat itself. For example, the case of the now defunct Bellview Airline, founded in 1992, should serve as a lesson. Bellview Airline grew so well that at a point, the airline flew 11 international destinations – amongst them Amsterdam, London, India and others. It was the first domestic airline to be certified by the International Air Transport Association (IATA). By June 1997, Bellview was worth $15 Million, winning both continental and domestic laurels. However, where is Bellview today? With all the resources going to Arik airline, we are worried? How did they find themselves in this situation? The Ministry of Aviation must probe Arik air and give us answers before they runs into turbulent waters” the statement continued.